“Fine Art Experiences” is a series of audio visual programs from Colors In Motion® designed to have a calming effect on people. The abstract nature of the work combined with the slow pace of synchronized music and imagery elicits a relaxing response. Artists and musicians from around the world collaborate to create these unique works of art-in-motion taking viewers on a soothing journey through beauty. Artist Linda DeHart and videographer and compositor Christopher Graefe, partners in Colors In Motion, lead a core team whose mission is to bring beauty and centered calm into people’s lives. Imagine finding comfort when healing is most needed. 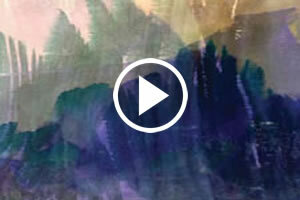 Colors In Motion achieves this in people by presenting slowly shifting images synchronized with original music. These audiovisuals enhance the well-being of people in environments as art in motion, bringing inner calm and positive uplift… offered exclusively through Medcalm for the hospital environment. Walking in Beauty takes us along a path of watercolors from Linda DeHart synchronized with original music of several composers, including Danish musician Niels Eje, who specially composes evidence-based music created to have a calming and de-stressing effect. His MusiCure™ music is made in close collaboration with international researchers and healthcare professionals. 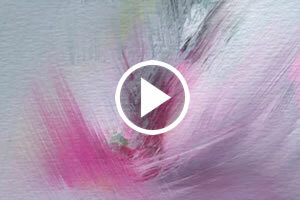 Compositions of three award-winning musicians, Chris Curcio, Mark Rimbach and Hiroaki Honshuku, are synchronized with the beautiful landscape paintings of Linda DeHart. Capturing ones imagination into Life’s basic rhythms: lively and reflective, this combination creates a place where inner healing can happen. 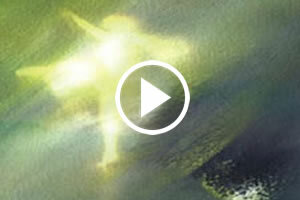 This experience coalesces the extraordinary moving images of the aurora borealis, photographed by Dirk Obudzinski and synchronized with his own music, with the universal gestures of dancers Meg Brooker and Emily Mott, images of our earth from space and abstracted human gestures through a rainbow of colors. Chinling Hsu’s healing voice adds frequencies towards inner calm. Music of three award-winning composers Joshua Hummel, Blake Rowe and Mexican composer Angel Sananda is combined with the chanting of Chinling Hsu from Taiwan. 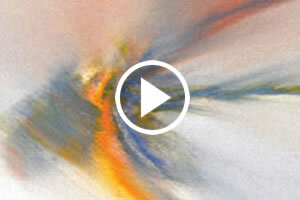 These healing sounds are synchronized with the graceful movements of dancer Meg Brooker, and set into the uplifting light filled watercolors of Linda DeHart. Chakra balancing colors are intentionally incorporated to enhance a positive healing effect. with Linda DeHart’s luminous watercolors. This twenty-nine minute program incorporates the award-winning music of Joshua Hummel’s Gregorian Chants and Danish composer Niels Eje of MusiCure who specially composes evidence-based music created to have a calming and de-stressing effect. 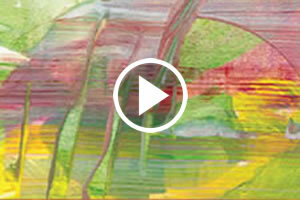 This beautiful music is perfectly aligned with Susan Latham’s imaginative, colorful and light reflecting photographs. Infinite reflections of light are captured by the cameras of Martin Berinstein and Louis Henri Pingitore with custom music by Joshua Hummel. Chinling Hsu’s vocals with the music of Mexican composer Angel Sananda are complemented by luminous hand painted silks by Linda DeHart. Everything is synchronized with the music. This interplay of elements invites a reverie, as we witness breathtaking beauty in a place curiously calm. Many moods are traversed throughout the abstract watercolors of Linda DeHart which are synchronized with the poetry of Jeff Volk and Zofia Monika Dove. Composer and musician Joshua Hummel’s stellar talent has been recognized with numerous music awards including The Leonard Bernstein Award for Composition, and JS Epperson is renown for his high quality meditation music. These art forms, intentionally merged to engage our senses, create a meaningful experience. This is an open-eyed meditation for experiencing your essential nature. 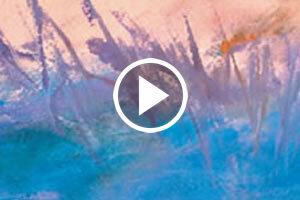 Journey through Linda DeHart’s watercolor landscape, while you are immersed in the deeply relaxing and healing music of Grammy-nominee and best-selling sound healer Steven Halpern, including the sounds of the Shakuhachi bamboo flute. 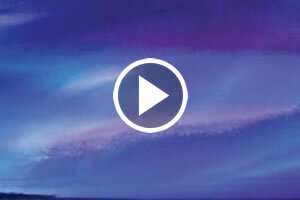 Thirty-three minutes of Brainwave Entraining Music for inner peace synchronized with the beautiful paintings elicits a feeling of calm on all levels, allowing for deep healing benefits. Linda DeHart paints luminous moments of wonder in her energetic representations of floral beauty and the movement of the creative spirit. 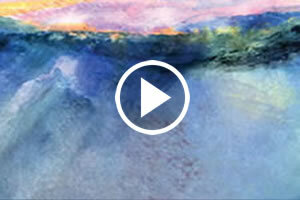 As we listen for the sounds of Joshua Hummel’s specially composed music, “Creation” then coalesces into a vibrant expression of love through Gustav Mahler’s 5th Symphony’s Adagietto synchronized with over two hundred watercolor landscapes. Susan Latham photographs her sculptures inspired by Nature’s own geometry. Immersed in natural light and reflection, captured in her camera, this moving art form invites a depth of discovery into their beauty. Eve Kodiak creates further intrigue with her piano as she explores these sculptural lines and forms in this thirty minute exploration into Nature in its most abstract essence. The merging of these three art forms, Sculpture, Music and Photography, invite the unexpected that engages our sense of aliveness and delight. In “Sleep Like a Baby,” we offer the experience of that dream state, induced by the clear pure colors of Linda DeHart’s watercolor paintings, artfully blended by digital compositor Christopher Graefe, and accompanied by sensitive piano improvisations of Eve Kodiak. A perfectly gentle sleep program for children of all ages.